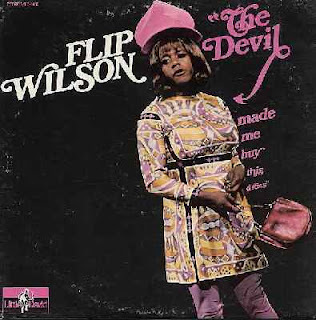 Flip Wilson while playing the character Geraldine and money laundering Reverend Leroy often used the phrase, "The Devil made me do it." as justification of various choices that were made by his characters. His catch phrase "What you see is what you get" was used to describe the new word processors that displayed text formatting exactly as it would appear on paper as opposed to early word processors that used formatting commands. This latter phrase is about a certain truth based on what one sees and the former is about a certain lie based on a fear of being held responsible. When one reads the various debates about God's existence there is a decided lack of dialog about whether or not the Devil exists. On the one side God is the origin of all that is good and God's motivation is Love. 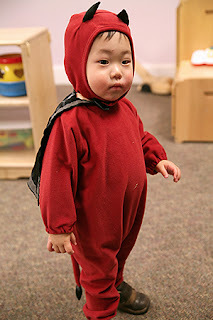 On the other, the Devil is the origin of all that is evil and the Devil's motivation is rather unclear. Some say its jealousy and others say that hate motivates the Devil or others say it is power and control. The story goes that Satan was called Lucifer or light bearer and was the brightest and most powerful of all the angels God created. One wonders how brilliant this angel could be if death and destruction was all that he could come up with. I don’t believe in the idea of evil, but I do believe there are lies and fear. And, in religious terms, the counter points of lies and fear are truth and faith. I read in the book The Zen Teachings of Jesus by Kenneth S. Leong that in the ancient language of Aramaic there is no word for evil. The word translated as evil is really the word for immature. Tradition has said that Jesus spoke Aramaic and I have done an interesting experiment by reading sayings where Jesus uses the word evil and substituting the word immature. It creates a whole different feel to many of Jesus’ statements. The ideas presented take on a directive to see the world as one who is becoming mature rather than a directive to be “good.” Rather than condemnation, by labeling someone or something as evil, it becomes an observation that immaturity is the cause of a lot of suffering. Evil is this mysterious irrational force that has only wants to destroy for no reason. I believe that to be a lie. I don’t believe that evil exists, only ignorance, lies, and fear. Evil is a lie that allows demons to hide and remain nameless, but fear and deception are names we can understand. They are things we can overcome once we name them. And too often, when someone labels something as evil, we fail to ask the demon its name.